Today marks the 140th anniversary of the forgotten second Chicago Fire of 1874. That fire began about 3:30pm on Tuesday, July 14th with the first alarm raised near the northeast corner of Clark and 12th Street (now Roosevelt Road). The point of origin was a small wooden shanty and barn occupied by a Jewish immigrant, Nathan Isaacson, located next to an oil factory. By the time the fire stopped around 10:00pm, approximately 60 acres in the “South Division” of downtown, which had escaped the Fire of 1871, had been totally destroyed, causing nearly $5 million in damage. 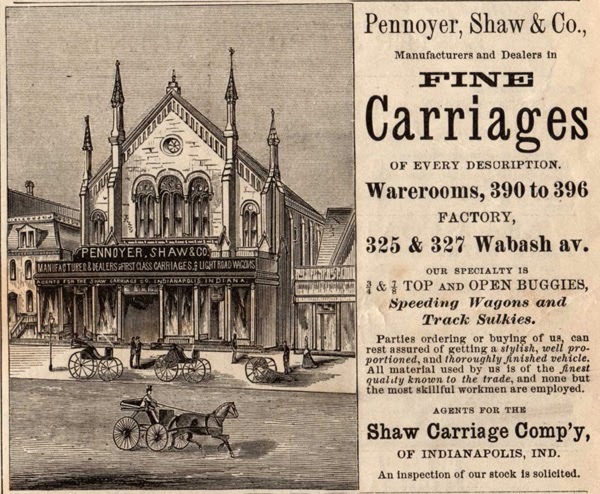 “It has come to complete in part the work left undone in 1871, and to scoop out of existence another broad belt of wooden buildings which menaced the new structures which have sprung up in the business quarter of the South Division. It has shaken hands with the fire of 1871, and reaching the ground its predecessor conquered, has stopped, not satiate, and yet satisfied. Well it may be for the palaces that line Madison street that yet another strip of brick and stone is to be piled up between them and the menacing frame structures that lie beyond, and yet we cannot help reflecting that this security of the future has brought by too great a sacrifice in the present. The circumstances surrounding the 1874 fire were similar to the first – dry conditions, a “fatal southwest wind,” and an abundance of wooden buildings to fuel the conflagration. 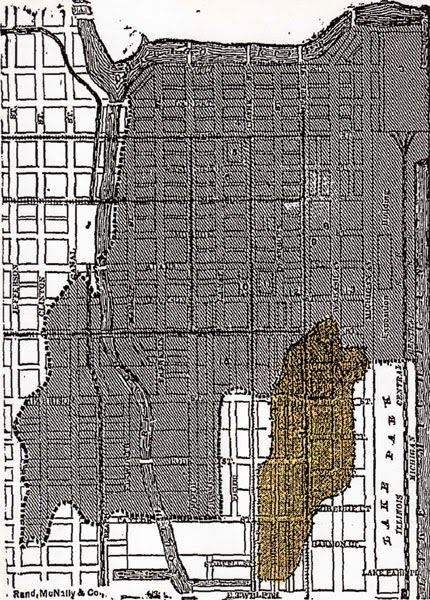 The 1871 fire resulted in new regulations being implemented which prohibited the construction of any wooden buildings in the area bounded by 22nd Street on the south, the Chicago River on the north, Halsted Street on the west, and Lake Michigan on the east. However, wooden buildings standing within those boundaries at the time were, of course, allowed to remain, and temporary wooden structures could be built until more permanent structures were completed. The “temporary” buildings were to be razed within a year of construction, but they often remained standing much longer. It was estimated that nearly 500 prostitutes were left homeless as a result of the fire. 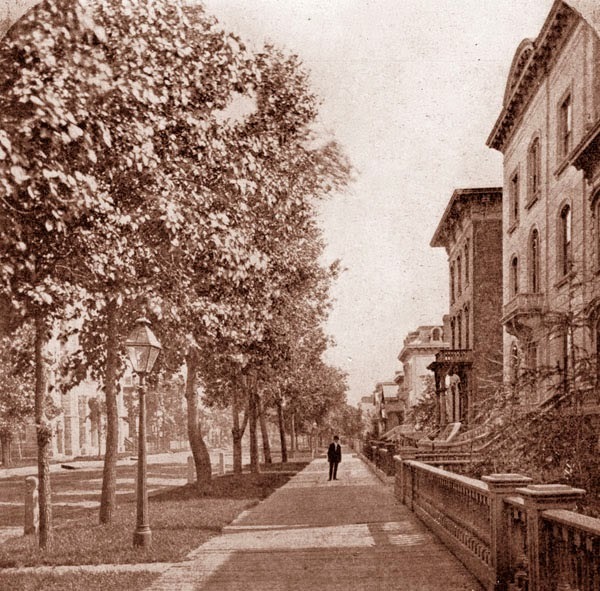 In addition to the “houses of ill-fame” which quickly reestablished themselves south of 18th Street (in the area that would soon evolve into the infamous Levee), the neighborhood was home to many poor immigrants, including Eastern Europeans and Jews, and was also the center of a small but growing community of African-Americans. 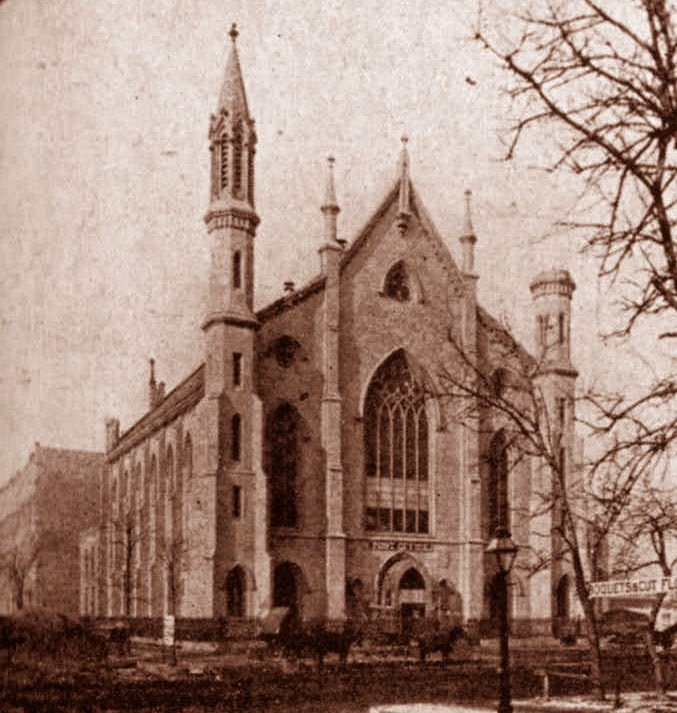 Wabash Avenue had been a fine upper-class residential street, and many larger homes and churches remained, but the character of the street was changing rapidly as the original residents and congregations moved to the district farther to the south in and around Prairie Avenue. The fire proceeded in a generally northeast direction from its point of origin to State Street where it continued north to three doors north of Van Buren. (The fire stopped at this point, not because of the efforts of the Fire Department, but rather because it had reached the rebuilt section of the city, and the new stone and brick structures did not burn). 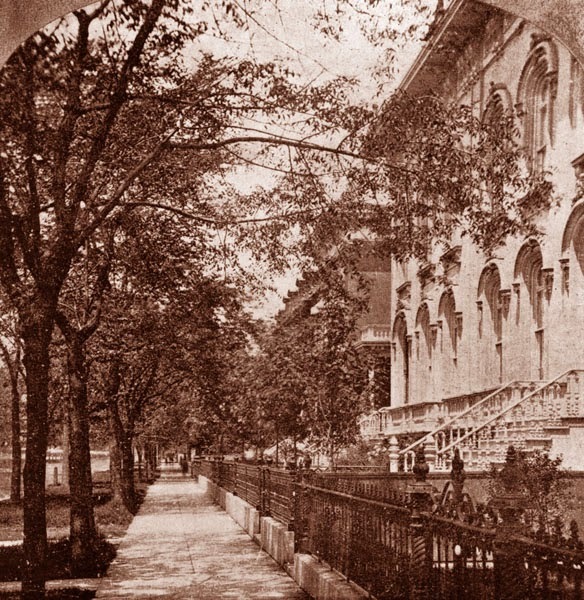 It extended as far east as Michigan Avenue for the half block north of Congress, but otherwise did not extend east beyond the alley between Michigan and Wabash Avenues as far south as Peck Court (now 8th Street). From there the southern border of the burnt district followed a line heading southwest back to the point of origin, just missing St. Mary’s Catholic Church at Wabash and Eldredge Court (now 9th Street). In the aftermath of the fire, there was a demand for additional reform to prevent another calamity of this scale from occurring again. 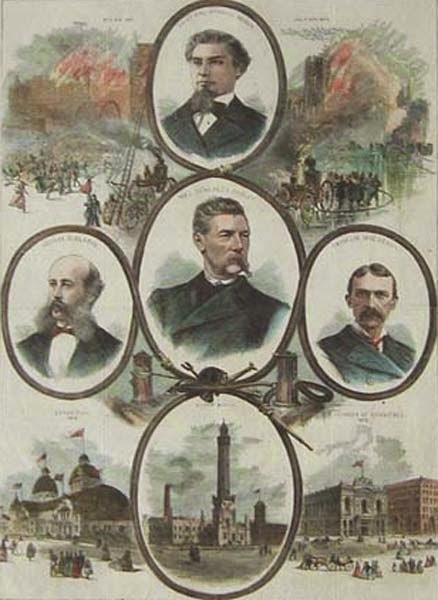 The Citizens’ Association of Chicago was formally chartered later that month with a Constitution that stated their purpose in part “to insure a most perfect administration in our municipal affairs; to promote the general welfare and prosperity of the city.” The Association was largely responsible for revisions to the Fire Limits Ordinance which was expanded to encompass the entire city, and also worked closely with insurance companies to expedite settlements with property owners. The Fire Department was highly criticized during the 1874 fire and there had been unresolved issues ever since the Great Fire three years earlier. The Citizens’ Association brought General Alexander Shaler to Chicago to aid in remedying this situation. Shaler, a decorated Civil War veteran, had served as the head of the New York City Fire Department from 1867 to 1873, and his visit to Chicago brought about important reforms in the management of the Department as well as restoring public confidence. NOTE: Nathan Isaacson, the “Mrs. O’Leary” of the 1874 fire was arrested and charged with arson, but was never found guilty. The account of his trial would seem to indicate that he was the innocent victim of racial prejudice against the Jewish residents of the neighborhood. Congratulations on an excellent article for a story largely forgotten.